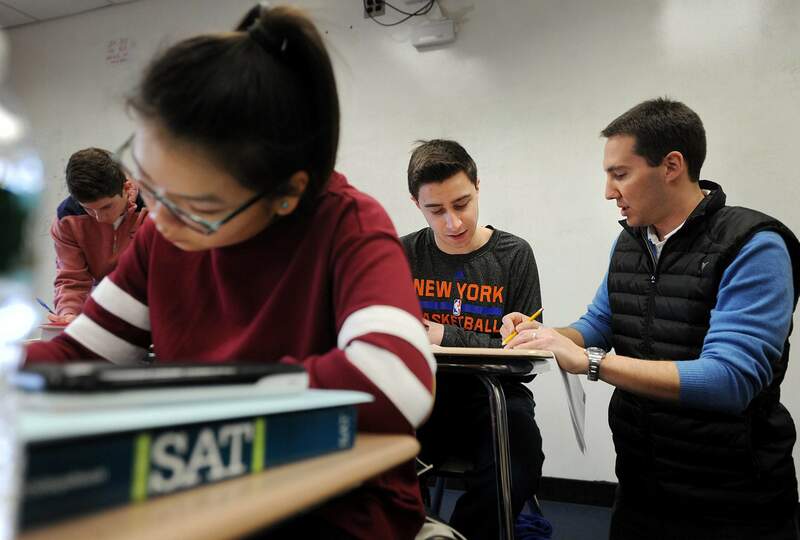 Yale and Quinnipiac universities in Connecticut have joined a growing list of schools that have begun allowing applicants to self-report SAT and ACT test scores, rather than requiring them to submit official results from the organizations that administer the entrance exams. HARTFORD, Conn. – Yale and Quinnipiac universities in Connecticut have joined a growing list of schools that have begun allowing applicants to self-report SAT and ACT test scores, rather than requiring them to submit official results from the organizations that administer the entrance exams. The change will speed up the application process and allow students to apply to multiple schools without worrying about having to pay fees to have their scores sent to more than just a few schools, said Gregory Eichhorn, the vice president for admissions at Quinnipiac, which announced the change to its application policy on Thursday. University officials will verify the scores with the College Board or ACT only for students who accept admission and can rescind the invitation if they find the scores were falsely self-reported. David Hawkins, the executive director for educational content and policy with the National Association for College Admission Counseling, says the idea has been discussed among high school guidance counselors and college admissions officials for about eight years. Many schools began making the change over the last two years, with more than 110 schools now allowing self-reported scores, he said. Yale ran a pilot program last year and announced the change during the summer. Maria Alcon-Heraux, a spokeswoman with the College Board, which administers the SAT, said that organization made a change last year that allows low-income students to submit their official test scores for free to an unlimited number of colleges and has made the entire application process free for those students who apply to member schools. “If you are low-income, we remove as many obstacles as possible for you to apply,” she said. ACT also allows low-income students to send their official report for free to as many as 20 schools, said spokesman Ed Colby. “There is a wide-variety of testing information on that official score report that colleges can use to help place students in particular classes, which can avoid additional costs associated with other tests that might be needed to assess where a student is academically,” he said. But Hawkins said low-income students shouldn’t need to prove poverty to receive a fee waiver and believes self-reporting will continue to expand.